Giant jellyfish, massed flamenco dancers, burnt doves and an army of lawnmowers have all featured in opening ceremonies at Olympic Games, as organisers try to creatively combine Olympic protocol with cultural references and technological innovations. The opening speech by the host country's head of state. A speech by the president of the organising committee of the Games. A speech by the International Olympic Committee president. The playing of the Olympic anthem. The entry and raising of the Olympic flag. The last stage of the Olympic torch relay and the lighting of the cauldron. The symbolic release of doves. The taking of the Olympic oath by an athlete. The taking of the Olympic oath by an official. The national anthem of the host country. Usually the content is kept secret until the last minute. The 1984 Los Angeles Games had a stuntman flying through the air on a jet-pack, and when decathlete Rafer Johnson lit the Olympic flame, it passed through the five Olympic rings on its way to the cauldron. The 1992 Barcelona Games got underway to the sight of massed flamenco dancers, and paralympic archer Antonio Rebollo lit the Olympic flame by firing a blazing arrow into the cauldron. Boxer Mohammad Ali, a gold medallist at the 1960 Games, lit the flame and stole the show at Atlanta in 1996 and, four years later, Sydney employed tin men, an army of lawnmowers, stilt-walkers and giant jellyfish to convey the history, nature and culture of Australia. 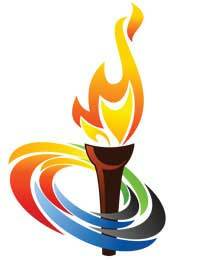 The 2000 Games can also boast the most spectacular lighting of the Olympic flame. Cathy Freeman, who went on to win gold in the 400 metres in Sydney, appeared to walk on water as she carried the torch to the centre of a pool and lit a ring of fire. The cauldron then rose from the water and climbed on rails to the top of a waterfall, setting off a spectacular display of fireworks as it reached its destination at the top of the stadium. Running Greek statues and gyrating goddesses holding snakes featured in Athens as a mix of Olympic protocol and Greek culture came together to link the 3,000 years between the ancient Games and the first Olympiad of the 21st century. The parade of participants has grown over the decades, with 22 nations represented at the 1908 Games and 202 in 2004. According to tradition, Greece, home of the ancient Games, leads the parade and the host country brings up the rear. The other nations parade in alphabetical order according to the language of the host country. The Olympic anthem was created in 1896 for the first Games and was officially adopted by the IOC in 1958, while the Olympic flag, which depicts the five Olympic rings, was raised for the first time at Antwerp in 1920. The same year saw the Olympic oath for competitors was introduced, with officials taking the oath for the first time in 1972. The release of doves - the symbol of peace - was also introduced in 1920. It historically took place before the arrival of the Olympic flame, but, following the demise of several birds sitting on the edge of the cauldron in Seoul, the symbolic release of doves now follows the lighting of the flame.